This plugin supported openweathermap.com languages. Unlimited color options. 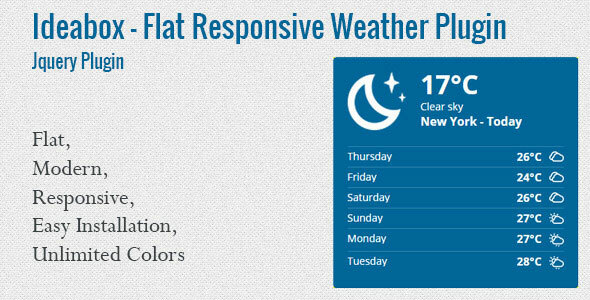 Flat or openweathermap.com icon style. 1-16 day weather report.